Menatech Limited has significant expertise and experience at providing and conducting Experimental Investigations due to the many diverse and unique challenges presented by its clients and also its own internal projects. These experimental investigations may cross over multiple fields requiring input from various specialists and may require the manipulation and control of many variables in order to fully understand the cause and effect of various relationships. 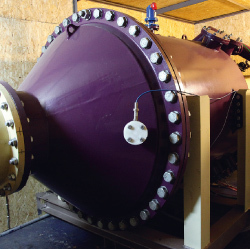 Menatech Limited has access to small and large scale fluid dynamics test rigs which are fully configurable and flexible to the needs of a particular project and we have carried out Experimental Investigations in many areas in multiple industries and fields.